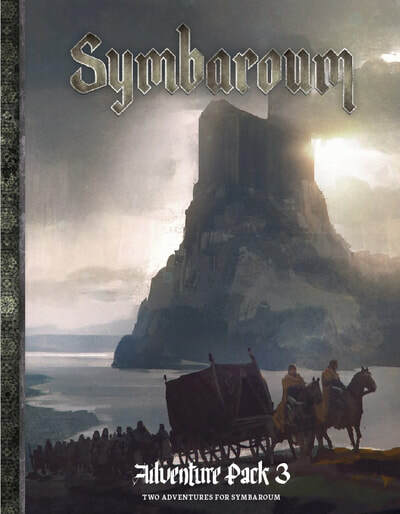 Modiphius is pleased to announce the release of three new products for Jarningen’s awesome dark fantasy RPG, Symbaroum, Adventure Pack 3, the Monster Codex and the Monsters & Traits Cards. Adventure Pack 3, the Monster Codex and Monsters and Traits cards are available as both print and PDF products as part of our ever-growing Symbaroum Collection! Adventure Pack 3 includes two scenarios that in different ways deal with the Sun Church, and the spiritual conflicts of the Ambrian people. The Howling of Damned Gods is set in the border village Prios Pass, where a caravan is about to arrive, laden with desperate refugees and the darkness of the depraved south. The second adventure, What’s Bred in the Bone, takes the player characters to young Duke Ynedar’s city Ravenia, where the mingling of barbarians and Ambrians creates both excellent partnerships and agonizing conflicts. The characters have a great chance to influence the outcome of the stories, but must be prepared to go up against very tough opponents and make equally tough moral choices. The village of Prios Pass and the city Ravenia as detailed adventure landscapes. Close to twenty sites and establishments where the characters can eat, trade, sleep, acquire information or visit local dignitaries. Color maps of both settlements. The mystical tradition Blessings, along with other powers and rule supplements. A thorough introduction to the pantheon of the Young Gods, and the history behind the Exaltation of Prios. The Symbaroum Monster Codex makes the settlements, woods and vales of the Davokar region more dangerous than ever before! More than a hundred creatures, monsters and abominations are crammed together between these covers – some of them well known, others only mentioned in legends and fairy tales; some unstoppably hungry, others open to negotiations; some presented in detail, others with only short descriptions. Combined with the guidelines on how to create creatures of your own, the content of this bestiary should provide material for hundreds of hours at the gaming table!. More than thirty fully described and illustrated creatures with the potential to be at the center of unique adventures and challenges in Symbaroum. A whole section consisting of short descriptions and stats of generic non-player characters, monsters, beasts and abominations. The new categories Flora and Phenomenon along with thirty-seven new monstrous traits, adding to the nineteen already in the Core Rulebook. Guidelines for the creation of your very own creatures and how to design balanced combat challenges. Suggestions on how to develop three types of adventure chronicles that put the bestiary’s creatures in play: Trophy Hunters, Monster Explorers and Occult Problem Solvers. 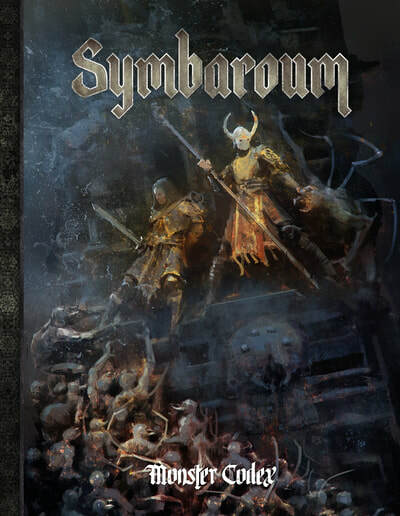 Note that this book requires access to the Symbaroum Core Rulebook, and that it does not come into its own without the content of the Advanced Player’s Guide. Symbaroum Monsters and Traits Cards! Easier, faster, and more fun! 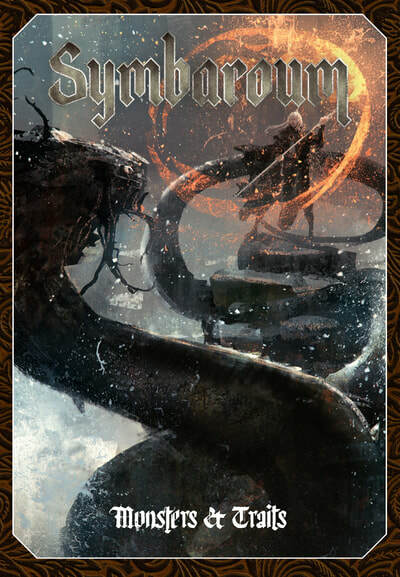 The two decks in this box feature all 56 monstrous traits which characterize the predators, monsters and abominations in the world of Symbaroum. Adding to this are 63 creature cards, complete with stats and tactics, and divided into the categories Bright Davokar, Dark Davokar, Corrupt Davokar and Wilderness. The cards are primarily designed to be used by the Game Master, for easy access to the values and abilities of various creatures, but they may also be used to randomly make up thrilling encounters in the woods and mountains, or on the rivers. However you choose to use them, we hope that these cards will make playing Symbaroum even more of a joy! Dragonborn Legs from Kromlech !